With a fistful of highly praised releases under his belt and a soulful, jazz and hip-hop driven sound, 25 year-old multi-instrumentalist, vocalist and producer Jordan Rakei is a rare talent whose artistry transcends the confines of age. After signing to Ninja Tune, Jordan released his second LP "Wallflower" in September 2017. Born in a quiet town in New Zealand, Jordan moved to Australia at the age of three, spending most of his childhood in Brisbane. In 2014, his "Groove Curse" EP garnered strong support from North America and Europe, coaxing Jordan to make the 10,000 mile journey to live in London. He furnished a name for himself in the UK, collaborating with the likes of Tom Misch and lending vocals to Disclosure's album "Caracal". It was Jordan's 2016 self-released debut album "Cloak" that proved he was an artist ready and able to make huge waves with his own unique sound though. Also in 2016 he became close with South London record label and party Rhythm Section, who encouraged him to release an EP of dancefloor driven tracks under his Dan Kye alias. 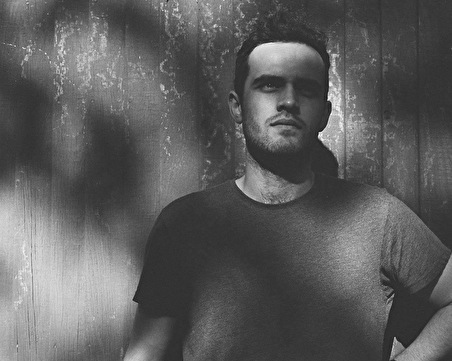 Currently in the midst of a packed touring schedule, with sold out shows across the world, Jordan Rakei is a name you are going to be hearing a lot more of in the months to come.